Enjoy the splendor of the ocean from this ocean view suite located in our Palms Tower. For your comfort you will have a bedroom with two queen beds and a full kitchen with stove, compact refrigerator, microwave, basic cookware and utensils. 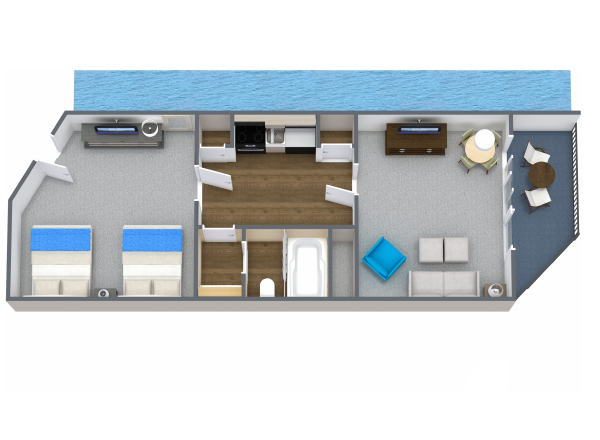 Your living area also has a full-sized wall bed and a side ocean view balcony that you won't want to leave.